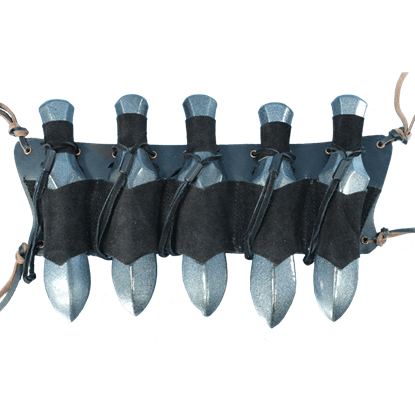 Often the best place to keep your favorite throwing weapons is right by your side for quick and easy use whenever danger may strike. 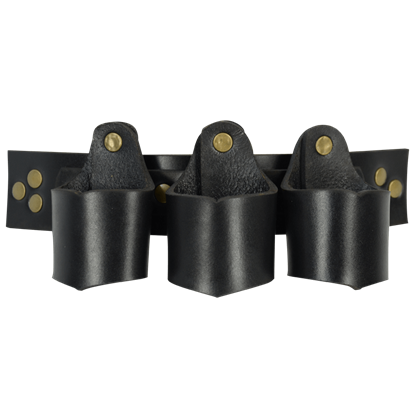 We offer a selection of throwing weapon holders that can help you do just that! Shop here for our medieval throwing weapon holders, including knife holsters and dagger holders that accommodate a number of throwing weapons. 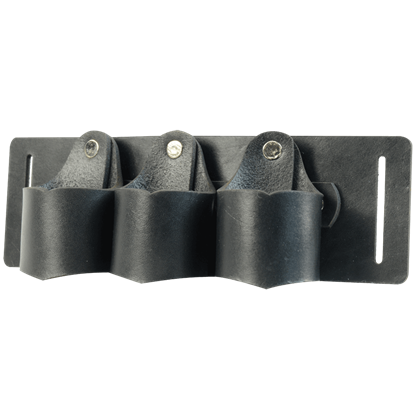 Many of our throwing weapon holders are easily attached to a belt or another part of your outfit, much like our other leather frogs. We also offer throwing weapon holsters for LARP daggers and knives. 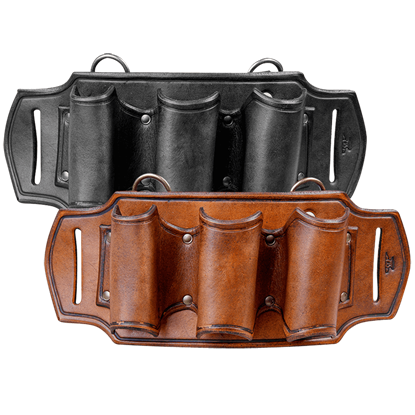 Keep your throwing knives and throwing daggers close at hand with these high quality throwing weapon holsters. Whether you are a mercenary, rogue, or assassin, there can never be too many weapons on your person. Those daggers prove extremely useful at times. The Galino Throwing Leather Dagger Holster will keep a handy arsenal close. 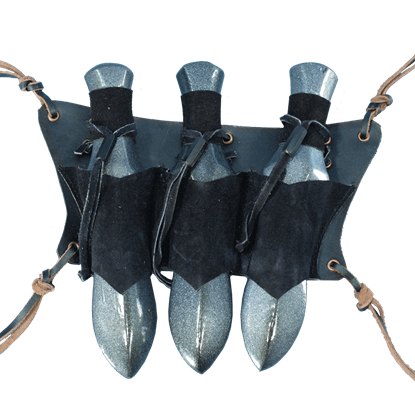 Prepare yourself for battle with the quick accessibility of your throwing knives provided by the exceptionally designed LARP Knife Leg Harness. Holding up to three LARP throwing knives it is perfect for surprising your enemy from afar. We offer many different styles of LARP throwing knives and these holders are the perfect way to carry them around. This dagger frog holds three knives and ties easily to your belt, onto your armour, and around your leg or arm. Whether you are a ninja from the Edo Period or an assassin from the West, you can never carry too many daggers. Be appropriately armed for your trade with the LARP Throwing Knife Holder for 5 Knives secured to your belt or baldric. Ensure that you are always well equipped by adding this Triple LARP Knife Belt Holder to your war kit. 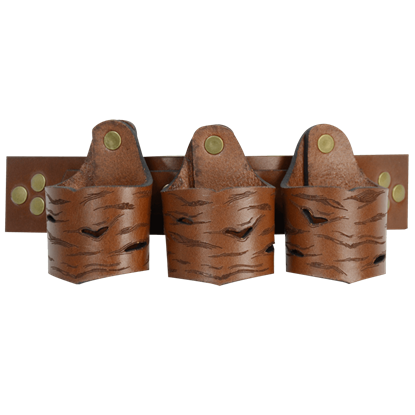 With space for up to three throwing knives, this leather harness slides on to your belt so you can slay foes from a distance. Add versatility to your LARP equipment with the Woodland Elf Throwing Knife Leg Harness, which allows for exceptionally quick access to your throwing knives and in turn the ability to slay foes before they are within melee distance.